While mortgages are still prohibitively expensive for a lot of people in the UK, interest rates for personal loans have fallen. Research data from Moneyfacts suggested that interest rates for borrowing £5,000 - £7,500 are at a record low, making personal loans a viable alternative to credit card debt. A mortgage is a type of secured loan, with the security being the ownership of your home. A personal loan is usually unsecured, meaning your home is not at risk, and because of this you can expect a higher interest rates and an arrangement fee on top. Sometimes it can be cheaper to borrow more than you need. Rates are often lower above £7,000. Try adding another thousand to your request and see if you get a better deal. Look out for companies offering to beat the lowest rate you're offered. Bring them the best deal you find and check the terms they offer to see if there are any subtle differences. You'll get a cheaper loan if you agree to pay the loan off fast, so work out how much you can afford to repay each month. If you're a homeowner, you also have the option of taking out a secured loan, which would be the second charge on your property after your mortgage. A secured loan will typically be for a larger amount that an unsecured loan, such as £50,000, and are useful for major home improvements or debt consolidation. For medium sized loans, secured loans are not much cheaper than unsecured, plus they have added risk. 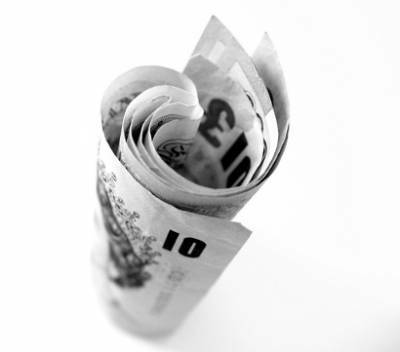 Payday Loans  Short term loans, designed to be paid back within a month. The interest rates are extremely high so this type of loan should only be used if there is no other option and you can afford to pay it back in full on payday. Each time you apply for a loan a footprint is left on your credit record, and if you are turned down it can look bad to prospective lenders. You can avoid leaving this footprint by using Money Dashboard to compare rates for cheap personal loans using our new loan search. Some loans will not allow you to pay back early, so if you were hoping to save on later interest with money coming in future, make sure you check the terms of your loan agreement. If you can't afford to miss a payment, contact your lender first. Explain the situation and ask if there's anything they can do. They may give you an extension or grace, and if you don't contact them, the missed payment might be permanently recorded in your credit report. Ask your current bank about personal loans, they may have favourable rates for existing customers.